The 2 day jam will take place 23-24th of Feb, starting at 11:00 am on the 23rd and finishing at 16:00 on the 24th. Winners will be announced following Friday (March 1st). The Game Jam is open to anyone with experience in game development (students included). We are particularly interested in Ltd companies and Sole traders/freelancers. This is a great opportunity to network with other local developers and to create a game based on the best place in the UK... YORKSHIRE. Equipment is not provided, therefore please bring your laptops/kit with you. There are plenty of plugs and extension cables on hand, as well as wifi. There will also be access to x2 Oculus rifts across the weekend. Lunch, snacks and drinks provided throughout the weekend! There are also plenty of shops/pubs/restaurants within walking distance! Games will be published on itch with the intended purpose of the public being able to play/test them. Cafe Ollo is located inside The Media Centre (HD1 1RL), a very short walk from Huddersfield train station. There is also plenty 'pay & display' parking nearby. Across the weekend we will be posting live updates to social media to document the game jam. 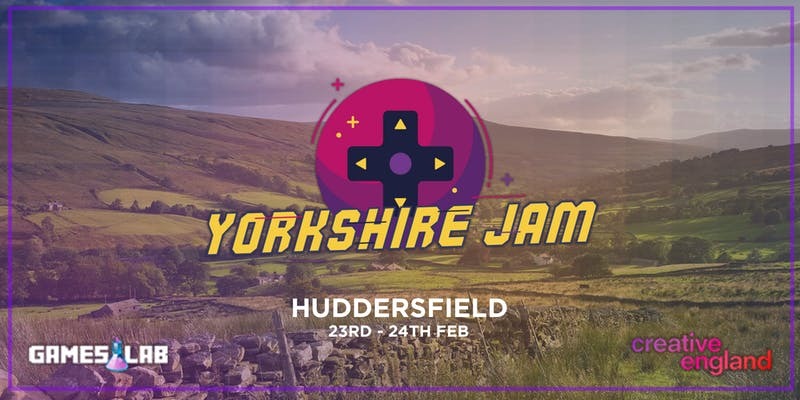 We will be using #YorkshireJam when posting about the event. Photography and filming will be taking place across the weekend. If you do not wish to be included in any photography or filming, please let us know on the day.